Today’s interview is with Mike Perk, Managing Director of WWC, a South African digital transformation advisory firm, that I met at a recent conference in Pretoria. At the conference, Mike described a concept called Future Fit Leadership but he did so in a really engaging way combining World War 2 history and a famous film about the period. As a result, I asked Mike to be a guest on the podcast so he could share this story with you. This interview follows on from my recent interview – Becoming a trusted company is an absolute requirement of a winning strategy – Interview with Christopher Roark of Accenture – and is number 288 in the series of interviews with authors and business leaders that are doing great things, providing valuable insights, helping businesses innovate and delivering great service and experience to both their customers and their employees. Mike and I met at a recent conference in South Africa where I heard him talk about Future Fit leadership. When it comes to digital transformation, technology is not usually the problem. Adoption is the problem. And, some of the biggest blockers of adoption are people and leaders. Future Fit leadership comes from looking at a lot of research and also spotting the patterns exhibited by successful leadership i.e. What are the key actions and attributes that successful leaders across the globe irrespective of industry are showing. Mike brought all of this to life by telling a story that combined a famous film and his love of WWII history. 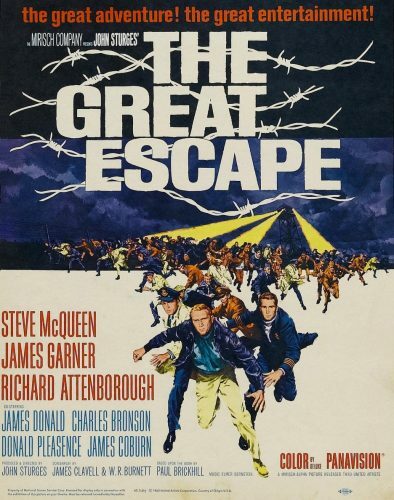 The film, based on a true story, is The Great Escape. Mike’s belief is that we can take stories of leadership from World War 2 and learn lessons from that about what leaders should be doing now. For those that don’t know the film it is based on some British and Commonwealth airmen that were caught and imprisoned in Stalag Luft III in Żagań, Poland during the 2nd World War and how on the night of March 24th 1944 220 of those British and Commonwealth officers attempted to escape (by tunnel). It was going to be the biggest mass escape from a prisoner of war camp during World War 2. On the night, over 220 tried to escape and 72 were successful. Around that time prisoners were facing deteriorating conditions and treatment in the camp with the Germans fighting on three different fronts. The prisoners knew that at some point the invasion across the channel would take place. So, it would have been easy for the leadership to advocate that they sit still and wait out the war. Instead, RAF Squadron Leader Roger Bartlett, known as “Big X” in the film, decided to lead with optimism even in the direst of times. He proposed that through a mass prison break they could still make a difference to the war effort and still make a difference to their families back home. Bartlett was able to align a bigger purpose with the individual’s purpose but in an optimistic way. Bartlett also painted a picture of potential when he talked about the fact that if they managed to get over 200 prisoners out, all of them would take different routes and different modes of transport, and how much chaos that would cause. In turn, it would cause the Germans to have to pull resources from all three fronts in order to recapture them. He created a picture of potential. Bartlett also built structures of innovation and a learning culture to help them accomplish their audacious objective. They create a picture of potential that lights the way. They lead with optimism and unwavering core values. They understand the importance of internal communication and focus on this as much as external marketing communication. They are Heavy Chefs who walk the talk. They back DX with action, finances and resources. They change legacy structures to encourage innovation. They embrace failure, (but don’t celebrate it) to support innovation. They build an always-learning culture at the ‘Heart’ of their business by increasing Humility (personal growth) and Love (Growth of others). They understand that trust is the bedrock from which successful teams and performance is built. As AI becomes more effective, they know that they will need to become data-analyst humanitarians by bringing humanity to the data-driven options they will be presented with. The tech decisions they make are driven by values, rather than trends. The thing to remember though is that whilst leading with optimism may require a degree of bravery, it is not necessarily about big hairy audacious goals. It’s more about a way a way of being. To do that, leaders need to become more self reflective. Leading with optimism is all about the heart, the mind and the body. Take three sheets of flipchart paper and write Heart on one, Mind on another and Body on the final one. Then, ask yourself and your team……what happens when you lead with optimism? What happens to you as a leader in your mind? What happens to your team in their minds? If you lead with optimism what happens to you as a leader? Do you get energized, positive and what happens to your team? Repeat for the body and the heart. These type of habits and behaviours are essential for leaders and teams in the service space as change is coming hard and it’s coming fast. This is about building resilience and a capacity to deal with change. There’s no more hero leadership. The companies that are truly succeeding are the ones that are building learning cultures. How can you go out there and really understand your customer and understand how your customers feel, how your customer reacts and how your customer responds if you don’t know yourself? Check out the book called Learned Optimism by Martin Seligman. Look up Hans Monderman, a Dutch traffic expert, who redefined the thinking behind road safety and believed that leading with optimism is a state of mind. To start with this, leaders need to start to set up habits of self reflection combined with learning about what it means to be a future leader. Next, leaders need to start building a picture of potential with their team. Mike Perk is Managing Director of WWC, a digital transformation advisory firm in South Africa is also a founding partner in Heavy Chef, an inspiration platform for innovators and leaders. His career in digital began back in the mid-1990’s. Since then he’s been consulting and helping companies grow and transform in the digital age. 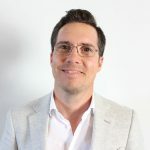 Through WWC he looks to support those responsible for their organisations DX journey to help drive the necessary change, whilst using the Heavy Chef platform to inspire innovation and change. He’s passionate about learning and teaching in the digital space, working in particular with leaders of organisations wanting to make the difference to their organisations through these exciting and sometimes scary times. 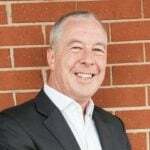 He’s worked with clients in all sectors, but particularly in finance, automotive, retail and government. They include Rand Merchant Bank, Virgin Mobile, Hyundai, Old Mutual, Woolworths, City of Cape Town and iStore. Check out WWC and Heavy Chef, say Hi to him on Twitter @mikeperk and feel free to connect with him on LinkedIn here. Thanks to Wikipedia for the image.